Executing a professional vehicle wrap isn’t as simple as just throwing on a sticker. 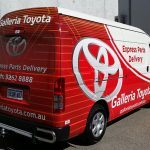 Vehicle wraps need to be properly planned and properly carried out. 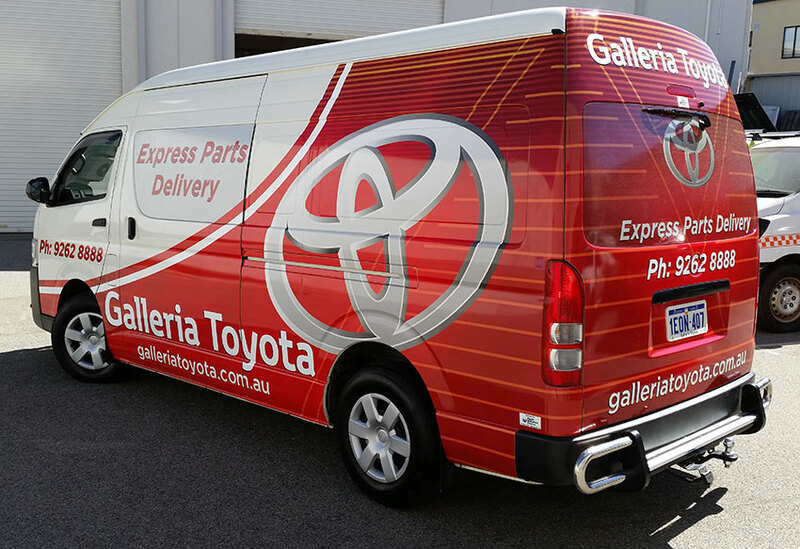 Perth Graphics Centre’s expertise in vehicle wraps is evident in this wrap we did for Galleria Toyota. The design was planned around the shape of the car, and problem areas were identified. Each step was considered, including which panels would be laid down first to achieve the best result. The attention to detail was such that the panels were fitted from back to front, allowing the panels overlap toward the rear. This ensures that when driving in wet weather, water isn’t hitting the edge of the overlap. It doesn’t stop there. 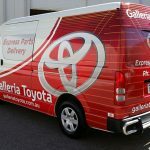 Combinining digital printing onto high-performance outdoor grade vinyl with durable solvent inks, plus one way vision with protective laminate means maximum visibility with maximum coverage. The UV-protective coatings will ensure the graphics last their longest. Each body panel was washed and cleaned with chemicals which strip off oily residue and the vinyl is massaged into the deeper recesses and baked into position. 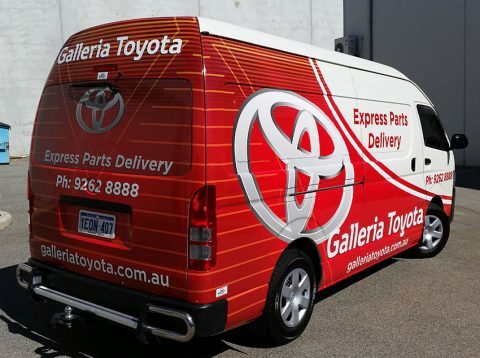 It all adds up to a vehicle wrap that befits the company’s professional branding. 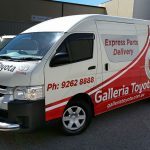 If there’s a vehicle wrap you need, Perth Graphics Centre is the company to do it. what’s the cost of wrapping a car, medium size like a 2001 Magna? It doesn’t reflex the light and is velvet to the touch. 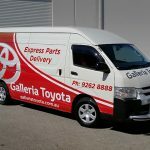 We produce signage and business wraps, so if you’d like a logo or details, then we’d be happy to help. 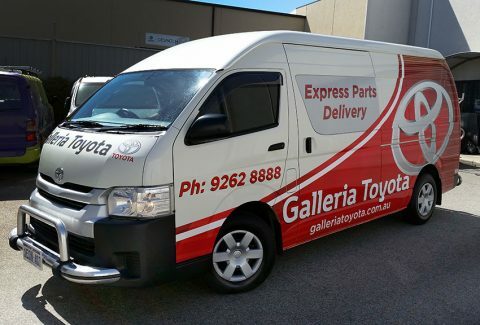 The team at Perth Graphics Centre.